El Camino Country Club is a Hidden Gem Of A Golf Course In North County. El Camino Country Club is located in Vista in a beautiful location with soft ocean breezes and great greens! El Camino Country Club’s 17th Hole. Last week I had the pleasure to play El Camino Country Club in Oceanside. It had been a while since I had played there and it was just as great as I remembered it from before. The course is 6,840 yard, par 72, Billy Bell designed course that tests the skill of all golfers at all levels. The traditional layout stretches across 115 acres of lush ranch land with towering Eucalyptus and Monterey Pines. Well placed bunkers, water hazards, and ocean breezes add to the excitement of this challenging course. El Camino, the site of the PGA Buick Invitational Qualifier is one of the best golf tournament locations in San Diego. El Camino Country Club Lounge and Bar. 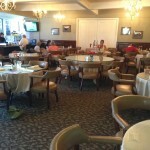 El Camino Country Club also has a full service Resteraunt, tennis, pool and a host of social activities for all members. Their ladies and mens club are very strong and well attended on a weekly basis.Membership is extremely reasonable with Transferable golf memberships starting at $2,500 with dues listed monthly for $435. El Camino also has a terrific junior program and very special rates for Juniors.The club is always warm and inviting to new members and guests. 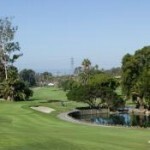 I encourage you to play and be challenged and pleasantly surprised at El Camino Country Club in Oceanside!